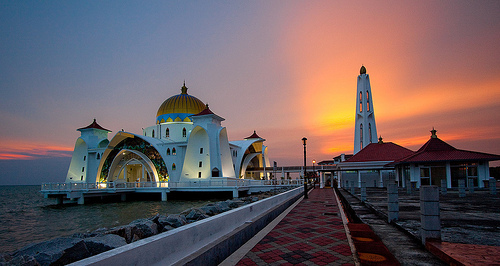 The Malacca Straits Mosque is a mosque placed on the man-made Malacca Island close to Malacca Town in Malacca state, Malaysia.Masjid Selat Melaka is the centerpiece of a new development on a new island built to give the city of Malacca some room for expansion. 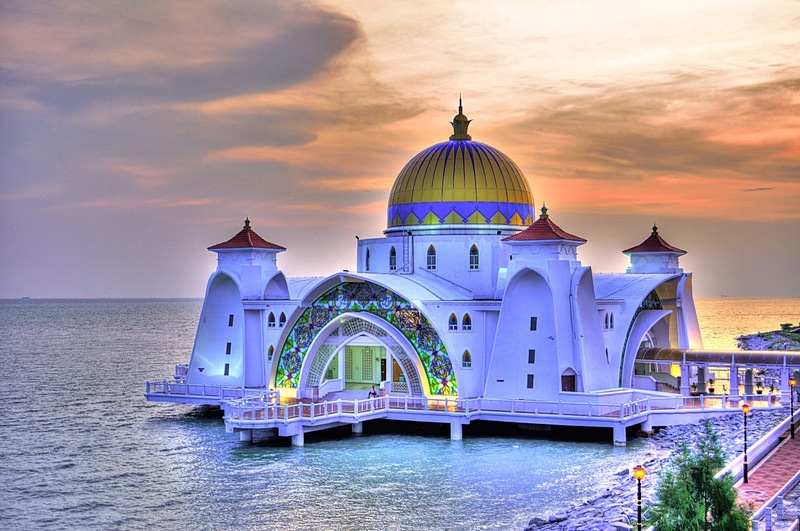 It has come to be known as the floating mosque because at high tide it looks like it is floating on the water. And construction cost of the mosque is about MYR10 million. The Opening Ceremony was done on the 24th of November 2006 by the Supreme Ruler of Malaysia (Yang di-Pertuan Agong) Tuanku Syed Sirajuddin Syed Putra Jamalullail.